The PlayStation 4 announcement definitely interested fans all around the world, from diehard Sony fans to even gamers who don't own a Sony console. However, the fans aren't the only ones who have had something to say about the new Sony console due for release this Christmas; developers from various high-profile companies have all decided to share their two cents on what they think the new console will mean for the games they make. 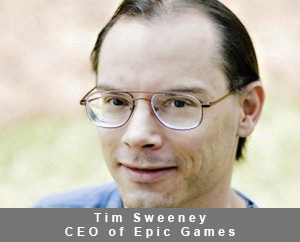 For instance, founder and CEO of Epic Games, Tim Sweeney, stated "The features and effects in our new 'Elemental' demo on PlayStation 4 are just the tip of the iceberg, showing dynamic lighting and shadowing, subsurface scattering and GPU-powered particle effects at full 1080p resolution." With the new hardware that the PlayStation 4 sports, it's easy to see how upcoming games can look truly photo-realistic, breaking the boundaries of what we expect a video game to look like. Sweeney also confirmed this by saying "With PlayStation 4, Sony has defined an ideal next-generation platform with massive appeal to core gamers, and incredible potential for bringing triple-A experiences to the next level." 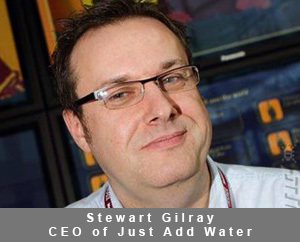 The hardware has also excited major players like Stewart Gilray, the CEO of Just Add Water, who responded: "We are incredibly proud to be working on PS4. Sony's passion and insight into connectivity and instant-access gaming is incredibly refreshing and encouraging to us as a developers. It allows us the ability to create immersive titles that truly engage the player at all opportunities." "PS4 is a dream. It's as they said: incredibly easy to develop for and extremely powerful. Having 8GB of DDR5 ram is staggering, as the speed that the data can be shifted around outstrips that 8GB. However, as a smallish indie, to us it's not about what we can do, it's about what we can do well. 1080p, 60fps, 3D is where it's at, and so far we're blown away by what we've managed to achieve with the hardware. Currently our imaginations are running away with themselves." 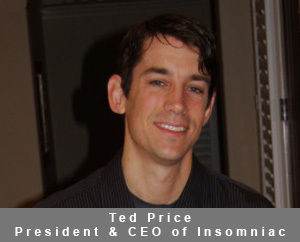 Ted Price, the President and CEO of Insomniac Games, says: "The Share button has me the most excited. It's visually the most subtle new feature but potentially the most powerful. As most gamers know, hooking up and sharing with your friends is a super-gratifying aspect of gaming today." Sony's PlayStation 4 controller features a Share button that will allow gamers to instantly share in-game experience with friends, such as through recorded gameplay." "It can be a convoluted process depending on the game and the hardware. If it truly does become a one-button press to connect with your friends it'll be a big step forward for games," says Price. 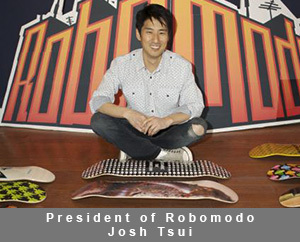 President of Robomodo Josh Tsui expressed his excitement that Sony wasn't forgetting its gaming roots with the new console. "One pleasant thing that was implied a couple of times is that PS4 is a game machine first and foremost. Games being what leads the experience. I personally like that a lot." He continued on the thought, stating that it "doesn't mean I won't use Netflix on it, but it means that I know where I can turn for a quick game fix. I hope they keep to that promise and make sure that the UX is game-centric." This is a genuine concern given Microsoft's push in the last few years to turn the Xbox into an entertainment console for television and families rather than focusing the device for the gamer. Though the actual console has obviously resonated well with developers, it's not the only part of the PlayStation 4 experience that sees improvement in the eyes of these companies. In particular, the Creative Studio Head at Zombie Studios, Jared Gerritzen, says that "I have gotten my hands on the controller recently and I'm very happy to say the thumb sticks feel WAY better, and it was my biggest gripe about the PS3." While most developers have clearly grown excited with the announcement of the PlayStation 4, not everybody shares the same level of excitement. 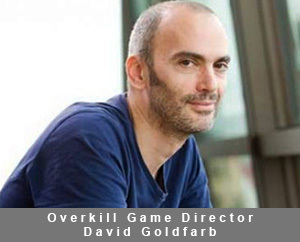 For instance, Overkill Game Director David Goldfarb says he was unimpressed with the games, stating "Killzone 4 looked wonderful ... but the moment my gun came out it was every other shooter, ever." However, even the Overkill director still feels there is some promise with the upcoming next-generation console. "There are a lot of talented developers out there and I'm sure some good stuff will come to be. The Gaikai stuff is interesting and potentially huge. The hardware seems like powerful and easier to develop for." Though some developers are showing caution, those developers are few and far between with the overall response being overwhelmingly positive. It's this passion for the PlayStation 4 and the Sony brand that will lead these developers to create what could possibly be their greatest games yet. Is Ubisoft Set To Be One Of The Best PS4 Publishers? PS4 Beta Testing -- Don't Be Fooled! Lets hope developers do NOT rely on the updating/patching support. Tired of seeing games released to where it takes 5 patches or more to makes the CORE game mechanic function corectly. spose to be about creating a great game, not rushing to get paid. money runs the world yes. but it also hinders imagination, compassion, and talent.